An extensive description of the system and its usage can be found in the final evaluation report. The main components of the system are the following. The mobile interface is developed using html and java scripts, which are stored on the phone such that the application can also be used if there is no connectivity. 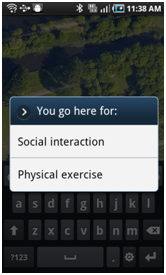 The phone app servers several purposes: 1) it gives the patients access to the treatment modules, 2) it allow patients to do mood-ratings and exercises, 3) it functions as a location and activity sensor, and 4) it functions as an aggregator for the physiological sensors. 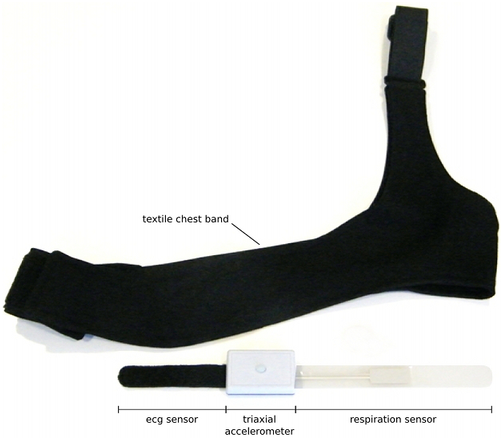 The biomedical sensors consists of a hand worn device for the measurement of heart rate and sympathetic nervous system responses and a chest strap that provides heart rate, respiration rate and an acceleration data that can be used to infer the trunk orientation of the user. 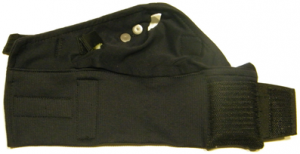 The chest strap is a discrete device designed for long-term use at the trunk, concealed under the regular clothing, and which can be used to measure both cardiorespiratory and posture/actigraphy data. The glove is a device for temporary or long-term use at the hand; it was designed to be as discrete as possible, while preserving functionality. 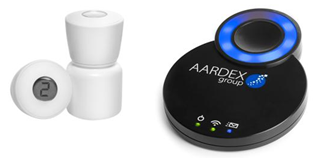 Due to its particular placement at the hand level (a more exposed location), the design originated novel contributions in terms of sensing technologies, so that the device would have a minimal interference in the users’ regular routines. Sensor glove that measures BVP and EDA. 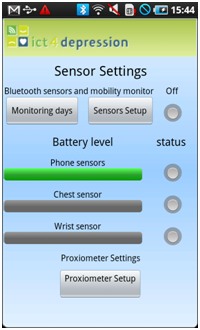 The main elements of the adherence monitoring system are depicted below. The MEMS monitor is a standalone device that can be used to automatically record the openings of a vial containing the drug. The MEMS is screwed on a standard vial containing the monitored drug. Each time the patient opens and closes the MEMS monitor, it registers the date and time of opening. It also provides basic feedbacks to the patient through a small LCD screen. The wireless reader is used to download data from the MEMS monitor and transfer these data. This reader is a fixed based that stays at home and is used by the patient to transfer the adherence data on a regular basis. Main components of the medication adherence monitor. The main menu of the websystem. The web version is available in three different languages English, Dutch and Swedish. When a patient logs in into the system, the web version will present the language that was defined on the Management Tools. “My Tools” with direct link to some components of the web version such as “My Calendar”, “My Mood Graph”, “My Sensor Chart” and “My Ratings”. 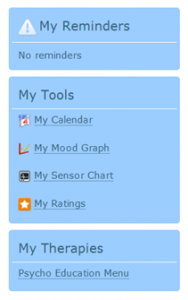 “My Therapies” where are present the quick links for the available modules. The main area is the located at the center of the screen and is where the content of the therapeutic modules will appear. 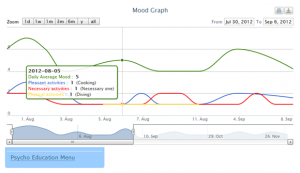 It can also display charts with information about the daily mood ratings, the number of pleasant activities, and the measurements of the sensor system. 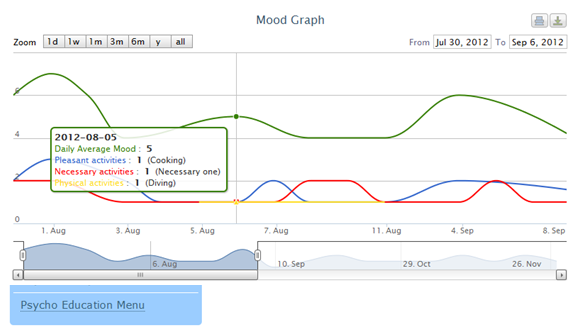 A chart with mood-ratings and activities.